Michael S Kim is the co-founder of Kobre & Kim, an international disputes and investigations firm. He serves as lead counsel in high-stakes financial disputes, with a particular focus on international enforcement of judgments and arbitration awards. 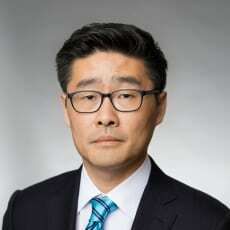 Mr Kim is a highly regarded advocate in complex financial and insolvency disputes, particularly those involving international asset tracing and recovery. He was ranked one of the top 10 judgment enforcement and asset recovery lawyers in the world by the publishers of Global Arbitration Review. ‘Fraud’ is a word that people find easier to use than to define. Partly for this reason, it is difficult for lawyers to summarise the way in which their particular jurisdictions deal with it. Some of the sources of their laws will be domestic and will have evolved over time. Others will be recent international conventions, where regard must be had to the decisions of other jurisdictions. But these difficulties aside, the problems that fraud generates pose unique challenges for the legal system of any country. This guide contains contributions from eminent practitioners the world over, who have, on the basis of their experience, set out what they regard as critical within their own jurisdictions.